From 1957 to 1960, Oscar Robertson redefined the way college basketball was played and gave the nation a glimpse of a future NBA superstar. His years at the University of Cincinnati left a trail of 19 school records, five of which still stand more than six decades later. Robertson led the Bearcats to two straight Final Four appearances and an overall 79-9 record. 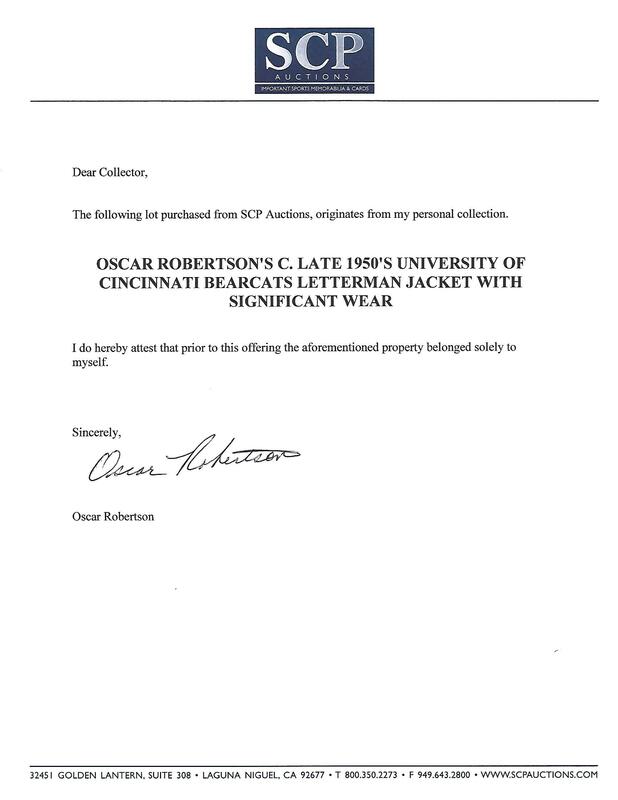 In Robertson’s time, the ultimate symbol of a star college athlete was his letterman jacket, and this is the one earned and worn by “The Big O” during his University of Cincinnati days. 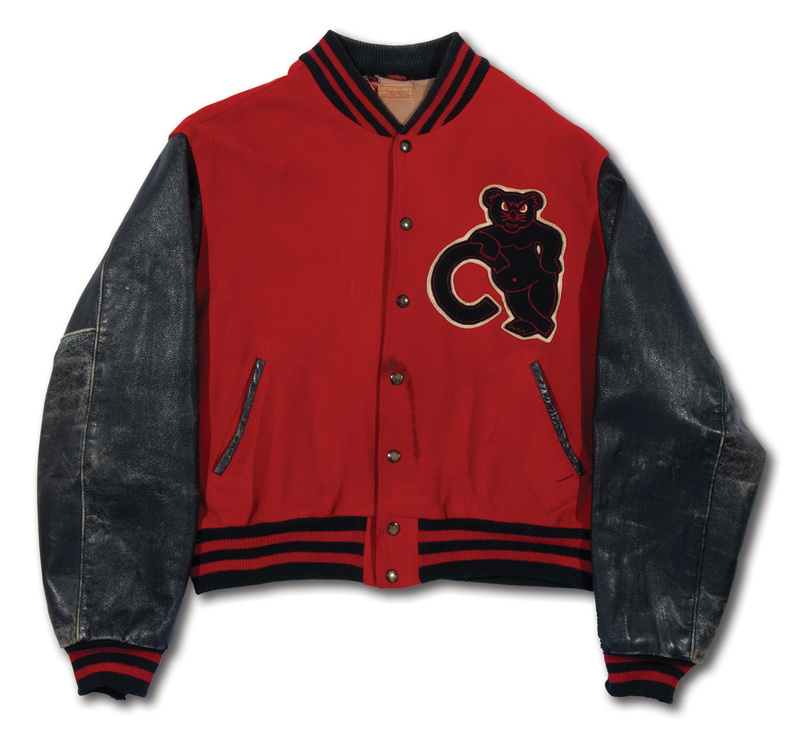 The thick button-down jacket is finished in UC’s colors with a red wool body and black leather sleeves and stretchy striped trim around the tail, neck and sleeve ends. A Bearcat, the university’s mascot, appears on the left chest. A local Cincinnati, Ohio-based manufacturer's tag (so worn out that the name of the company is unreadable) is still affixed inside the neck. 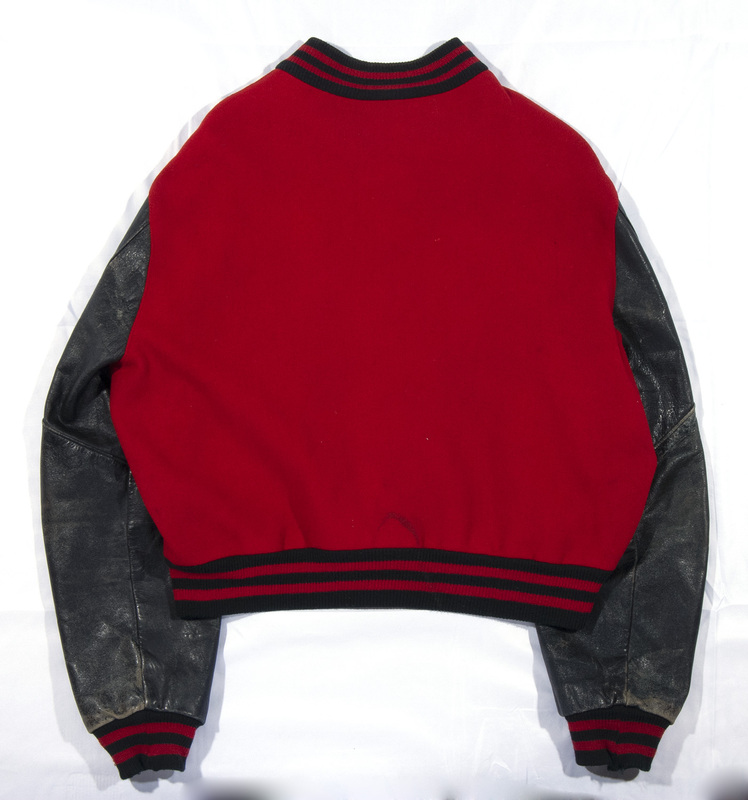 There are loose threads throughout, the leather sleeves are faded and scuffed, and a streak stain can be found on the lower front. The letterman jacket shows tremendous use, looking every bit like one sported by a proud college hoops star during his heyday. 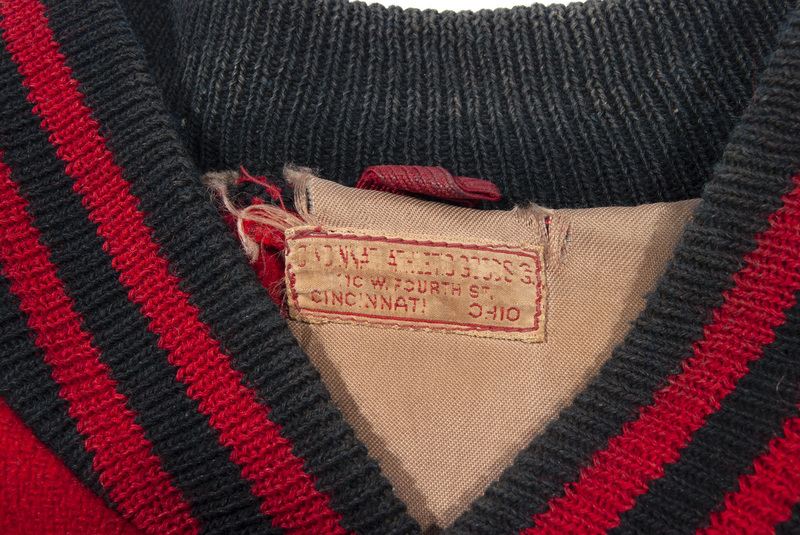 A one-of-a-kind piece representing Oscar Robertson’s college success as he laid the groundwork for the future Olympic and NBA glory that awaited him. Includes LOA from Oscar Robertson.